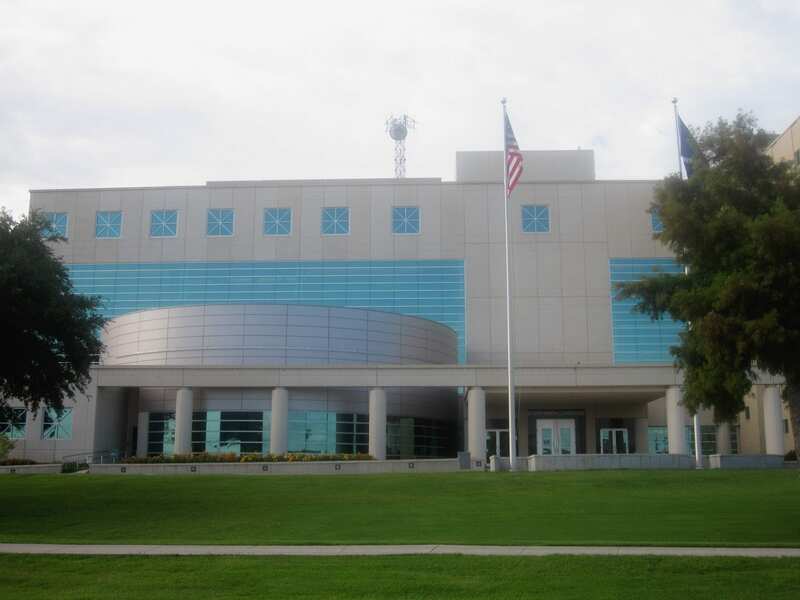 Security at the Bossier Parish Courthouse will soon be significantly upgraded with the addition of more hi-tech cameras to provide better quality surveillance inside and outside the building. Director of Purchasing Jim Firth told members of the Bossier Parish Police Jury’s capital improvements/building and grounds committee Wednesday the planned upgrade would increase the number of cameras from 48 to 202. Firth had been tasked by the police jury to study the current system and make recommendations for improving security at the courthouse. Firth worked with the parish Sheriff’s Office on the project. Firth said the plan to upgrade was taking advantage of the latest technology in video surveillance. Firth said he had also learned that existing cable could be used with the new cameras, and that would be a cost-saving factor. New Ethernet cable will be run for new cameras that will placed inside and outside the courthouse. Cost of the system should run around $450,000 and that money has already been set aside in last year’s budget, Firth told committee members. Bids on the system could be let in six weeks to two months, he added. Approved the plat of proposed development of Lakewood subdivision, Unit. 4-E and postponed the vote on another plat for proposed subdivision. Scheduled a public hearing for application of Mark Logan, J-Lo Builder Development, LLC to change zoning of 36.71 acres from R-MHP (residential, manufactured housing park) and R-A (residence agriculture) to R-LD (residential, low density) for Eagle Ridge Pointe subdivision. Set a public hearing to consider application of Dennis Bamburg, Sligo Enterprises, to change zoning of 4.3 acres from R-A to R-LD. Accepted and ratified recommendation of the Commercial Vehicle Enforcement Unit board of appeals. Announced a public meeting July 18 in the Police Jury meeting room to adopt an ordinance levying the 2018 ad valorem property tax millages. Adopted a resolution providing for adoption of plans and policies, approving appointments and authorizing individuals in accordance with the 2018 Louisiana Community Block Grant program. Approved a request from Sportspectrum for a letter of no objection to selling beer at annual Rivercities Triathlon on Aug. 5 at Cypress-Black Bayou recreation park. Reappointed Robert Berry to the Cypress-Black Bayou Recreation and Water Conservation District board of commissioners for a five-year term. Reappointed Jim Johnson, Wayne Davis and Tommy Boggs to the Bossier Public Trust Financing Authority for four-year terms each. Approved agreement with Denmon Engineering Co. Inc., for engineering services for LCDBG project for sewer system improvements in Oak Hill Mobile Home Park. Accepted proposal of Neel-Schaffer, Inc. for professional services for traffic study for Linton Road extension to Fairburn Ave.
Approved proposal of Ronald G. Carlson, Inc. for repairs to three street sections in Kingston Plantation. Approved proposal of Ardaman & Associates, Inc. for geotechnical services for the Kellie Road bridge project. Accepted streets and drainage in Jamestown subdivision, Unit 3, into the parish road system for permanent maintenance.